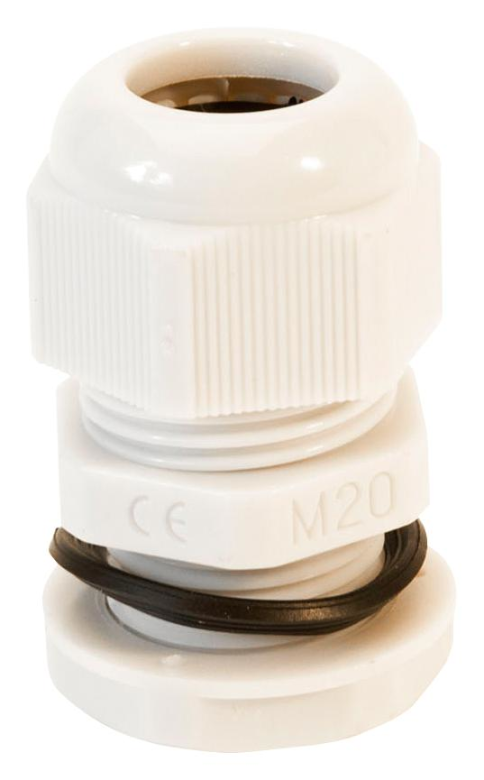 Cable Glands are suitable for a wide range of applications when connecting cables (non- armoured type) to electrical equipment such as enclosures and ducting. Made from Nylon and available to suit 5-12mm, 10-14mm, 13-18mm and 17-25mm cables. Each gland is supplied complete with locknut and washer. Also known as Stuffing Glands or Dome Head Nylon Cable Glands.